So I was talkin’ ’bout my generation (and other generations) in the workplace for this week’s ATTD 6210 trend report, and it had me thinking about the generation gap. There are now four different generations working side-by-side in the workforce – which has not happened before. This means it’s probably a good idea for organizations to take a look at who is actually sitting around the board room table and better understand how to manage this group effectively. Although I identify with the Gen X’ers I still test high in the next generation with my “How Millennial Are You?” survey results sitting at 93%. I suppose I have worked and studied amongst Generation Y for sometime, and it is quite possible that I may have picked up on a habits or two. There may be some differences between generations, however it is critical to find suitable practices, structures and methods for management that meet the needs of the entire team. This just means good management practices can help support generational differences, communication, group dynamics, staff training and retention of employees. The competition for talent will be initially addressed in the array of benefits to attract the top talent from across the generations (Rowe, 2010). It is also costly to replace experienced and skilled labor, so organizations should consider the creation of programs to encourage workers to stay or partially retire to help employee retention. Coupland, D. (1991). 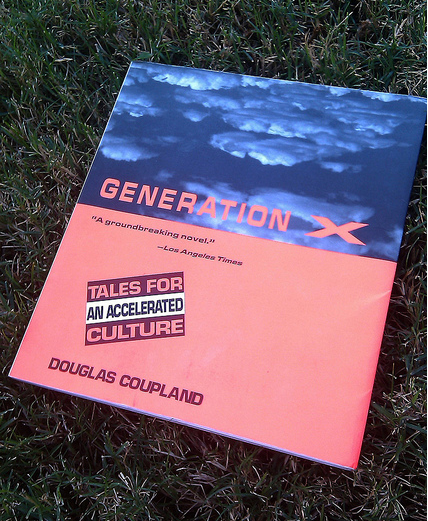 Generation X: Tales of an Accelerated Culture. New York, NY: St. Martin’s Press. Erickson, T.G. (2010, August). 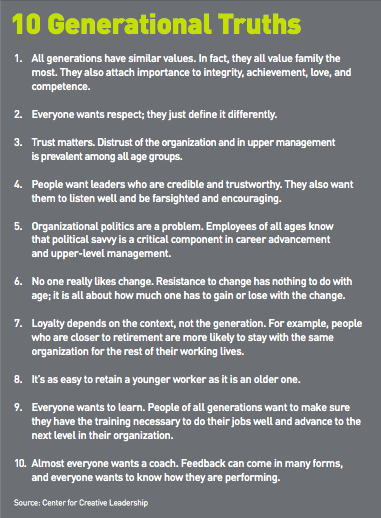 Guiding Generation X to Lead. Training + Development Magazine, 16. Rossi, J. (2007, November). What Generation Gap? : Are generational difference in the workplace a myth? ASTD Training + Development Magazine, 10-11. Rowe, K.A. (2010, March). Managing Across Generations. Infoline: Tips, Tools, and Intelligence for Trainers. Volume 27, Issue 1003. Previous postWho is Your Tech BFF?